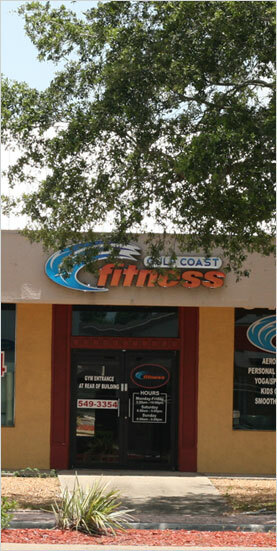 Gulf Coast Fitness of Cape Coral Florida has everything you need to meet your fitness goals. No other fitness center will offer as much value with the same level of service and personal attention as Gulf Coast Fitness. You will feel like family. We offer a wide variety of fitness options to help you achieve all your fitness goals. You can be confident in finding a healthy path to better fitness at Gulf Coast Fitness. We offer a variety of motivating classes like Zumba, Yoga, cycle and many more classes to ensure every member can achieve their fitness goals in a fun and safe environment. Our instructors motivate and push you to ensure you are getting results. Cardiovascular workouts make your heart and lungs work hard and fast so they can become stronger and more efficient. We offer a room full of Life Fitness cardio equipment: we have treadmills, ellipticals, water rowers, upright and recumbent bikes, all with personal TVs. You’ll burn fat in no time! Strength training improves bone density and promotes fat-free body mass. If you're looking to add strength training to your workout, Gulf Coast Fitness has you covered no matter your fitness level. Our free weights range from 5lbs to 115lbs. We also offer a large variety of benches, squat racks, and Hammer Strength plate machines. If you prefer machine weights to help you achieve correct form, we offer a large variety of Cybex machines to ensure you get a complete workout. We’re locally owned and operated. We’re not churning memberships and contracts just to meet corporate sales quotas. We’re committed to a mission of helping our neighbors live healthier. Sign up for a FREE 1 Day Gym Pass! © Copyright by Gulf Cost Fitness. All rights reserved.